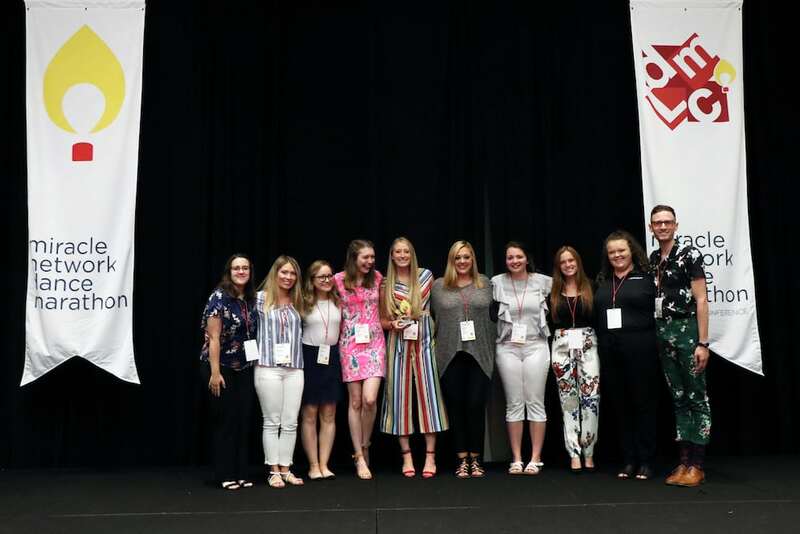 Guinathon, Youngstown State University’s Dance Marathon, was recently awarded the Dancer Communication award at the Miracle Network Dance Marathon Leadership Conference in July. The Dancer Communication Award recognizes programs that have been successful or shown significant growth in dancer communication strategies such as developing a year-long communication plan, utilizing a variety of communication methods, and educating participants about the cause. Guinathon accepting the Dancer Communication Award at DMLC 2018 in Indianapolis, Ind. As a team, Guinathon wanted to utilize their communication networks to cater to their participants’ needs. They looked into networks that their participants responded to the most and worked to develop an approach that would be regular without being overwhelming. Dancer communication is vital to a dance marathon’s success as the large majority of fundraising comes from individual student participants asking family and friends for donations. This week, our dancer shoutout goes to Dylan Anders on team SGA! He said, “I love Guinathon because of all the amazing things it does for our community and the kids at ACHMV. Being a part of Guinathon is being a part of something bigger than yourself and presents a unique opportunity to give to those that need it the most while still having fun. I’m so glad to have been a part of Guinathon and am so glad to be participating this year as a dancer!” Were so thankful for our amazing dancers for everything that they do. Keep being amazing, Dylan! Guinathon’s Dancer Relations team decided a bi-weekly newsletter including upcoming Guinathon events, fundraising tips, dancer shout-outs, and other important time-sensitive information would be the best way to communicate with their dancers. The bi-weekly newsletters were sent to all participants through the emails they had signed up with on their Donor Drive fundraising platforms. Guinathon also sent out personalized fundraising emails and updates on how well each participant was fundraising. To look at their outline, review YSUDM’s Donor Drive Plan. Making sure to keep dancers’ attention, Guinathon used their social media platforms to launch push days, educational promotions such as Tip Tuesday, and acknowledge outstanding dancers. Guinathon’s Public Relations and Fundraising teams collaborated to post Tip Tuesday graphics aiming to help provide additional fundraising ideas for their dancers. Due to the focus on their communication networks, more students felt like they had a role in making Guinathon’s final monetary fundraising reveal number possible. Not only were participants more engaged in fundraising, but they also had a sense of pride in helping create more miracles for Guinathon’s miracle kids and families at Akron Children’s Hospital Mahoning Valley.